In August 2018, Most Reverend Oscar Solis, Bishop of Salt Lake City, convoked a gathering of Catholic leaders from Asian and Pacific Island communities across the country. Our task: to produce a plan to disseminate and implement the document Encountering Christ in Harmony: A Pastoral Response to Our Asian and Pacific Island Brothers and Sisters (ECH:API). Developed by the Subcommittee on Asian and Pacific Islands Affairs of the United States Conference of Catholic Bishops (USCCB) and approved by the bishops at their June 2018 General Meeting, this document serves as a guide to promote the Church’s pastoral outreach to our Asian and Pacific Island (API) brothers and sisters. The document celebrates the diversity of API heritages in four major areas: 1) Identity; 2) Generations; 3) Leadership; and 4) a Culture of Encounter/Dialogue. Today and over the next few months, I’ll highlight each area and provide examples of pastoral responses in parish catechetical programs. Examining the lives of the saints offers students and catechists alike a great opportunity to better identify with APIs. A few years ago, I helped to facilitate a retreat for students preparing to be confirmed. One segment focused on the saints and the ways in which the Holy Spirit transformed the lives of these holy men and women. We encouraged the students to include in their research saints from or who ministered in Asia or the Pacific Islands. 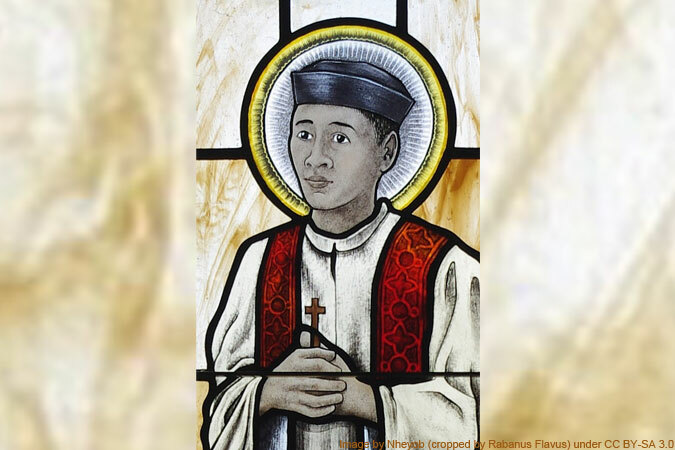 Their growing list included St. Pedro Calungsod (the Philippines), St. Andrew Dung-Lac and his fellow martyrs (Vietnam), and St. Damien de Veuster of Molokai (Hawaii). Although my grandparents are not ethnic Vietnamese, they received care and support by a family of Vietnamese Catholics. They say that without this family’s kind intervention and prayers they would not have survived. My grandparents were catechized by this family and were eventually fully initiated into the Catholic Church. They emigrated to the United States and raised my parents and me in the faith. My grandparents faithfully attend Mass with the local Vietnamese Catholics on the feast day of St. Andrew and the Holy Vietnamese Martyrs and often remind me to be a courageous Catholic. Fr. Damien learned from and cared for the Hawaiian people in need. He didn’t try to overpower us. Instead, he identified with us—learned our language, our ways, and served us with compassion the way Jesus would. He saw the value in our culture and in the Hawaiian people, even in those who were sick and dying. Indeed, through examining the lives of the saints through the lens of API ethnic identities, these young Catholics became a source of inspiration to their fellow students and their catechists. We believe that everyone has gifts and talents to share in our mission to witness to Jesus. 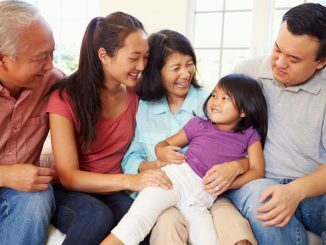 What gifts do Asian and Pacific Islanders bring to your parish? Image by Nheyob (cropped by Rabanus Flavus) under CC BY-SA 3.0. Thanks, Jayne! Thanks for this great reminder of the API contribution to the church! I hope that the API leadership continues to grow for our liturgical, musical and catechetical ministries. I continue to think about the recent celebrations of Simbang Gabi/Misa de Gallo that many dioceses have embraced – including those that have a commissioning at the Cathedral. My pastor had been through a lot in 2018, and he said that “the Filipino community saved [his] Christmas.” It was the joy of the small number of filipinos who encouraged him to celebrate simbang gabi, which was the first time that it was celebrated in the parish. Thanks for sharing your thoughts, John Michael! Yes! Jayne, my family and I recently returned from “a trip of a lifetime” on Oahu. Your message it like sunshine and warmth to me. We were grateful to celebrate the Holy Day January 1st with the welcoming community at St. Michael’s in Waialua and Fr. Pasala and another Sunday Mass with the parishioners and Fr. Postrano at St. Roch in Kahuku. At both parishes, my family was welcomed with applause and a lei. We fully embraced the experience of prayer with our fellow universal Catholics. These are Jesus’ disciples who are truly living what they have learned. I will never forget them, and will always keep them in my prayers. Even though we don’t speak the same language, we did learn that Ahola means hello, good-bye, and I love you and Mahalo means thank you! God bless our greater Catholic family around the world.